All figures in the 2014 Homeowner Survey, unless otherwise stated, are from YouGov Plc. In 2014, total sample size was 2,527 adults of which1,606 were Homeowners. Fieldwork was undertaken between18th-20th March 2014. The survey was carried out online. The figures have been weighted and are representative of all UK adults (aged 18+). The 2014 Homeowner survey was made possible through sponsorship by myhomemove, the UK’s leading conveyancing provider and TrustMark, the Government endorsed ‘find a tradesman’ scheme. Part 1 of the survey, “Concerns about house prices spread across UK as housing market gathers pace” was issued on 7th April. Click to link to this report. Part 2 of the survey, “British homes suffer maintenance and repairs crisis because of difficulties finding trusted builders” was issued on 12th May. Click to link to this report. Part 3 of the survey asks: “Thinking about interest rates over the next 18 months (i.e. between now and September 2015) how fearful, if at all, are you that rising interest rates will make it more difficult for you to afford payments on your loans and debts (e.g. mortgages, student loans, bank loans etc. )?” and What impact, if any, would rising interest rates have on you personally in the next 18 months (between now and September 2015)? 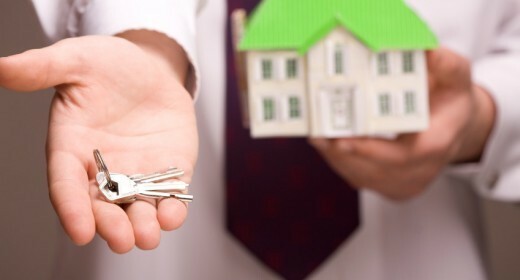 Specialising in the residential sector, myhomemove offers straightforward solutions for conveyancing both directly managed through its wholly-owned subsidiary, Premier Property Lawyers (the UK’s first ABS law firm and largest Conveyancer in the UK) and through our significant Panel Management Operation. The use of advanced technology ensures that the process of moving home is managed accurately and at an affordable cost. Above all, we are dedicated to providing a superior level of service, which is focused around our speed and professionalism.